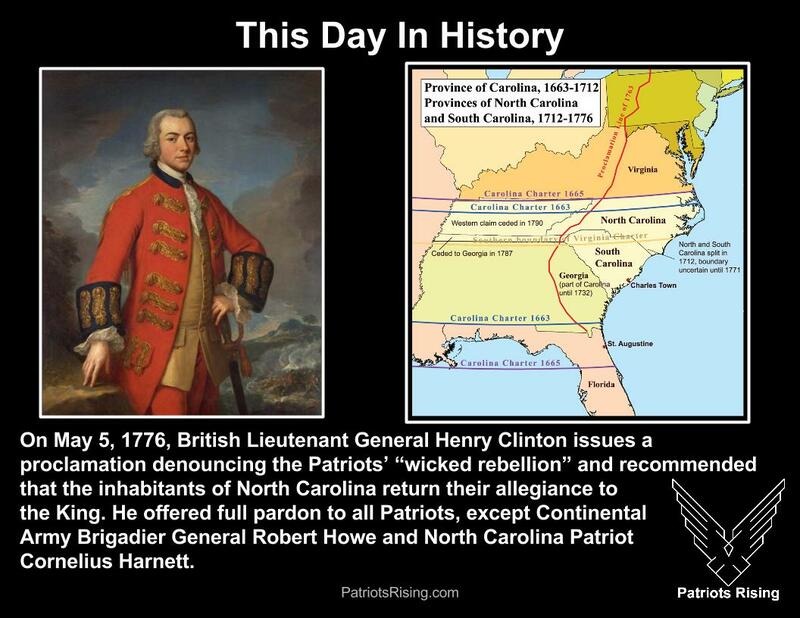 On May 5, 1776, British Lieutenant General Henry Clinton issues a proclamation denouncing the Patriots’ “wicked rebellion” and recommended that the inhabitants of North Carolina return their allegiance to the King. 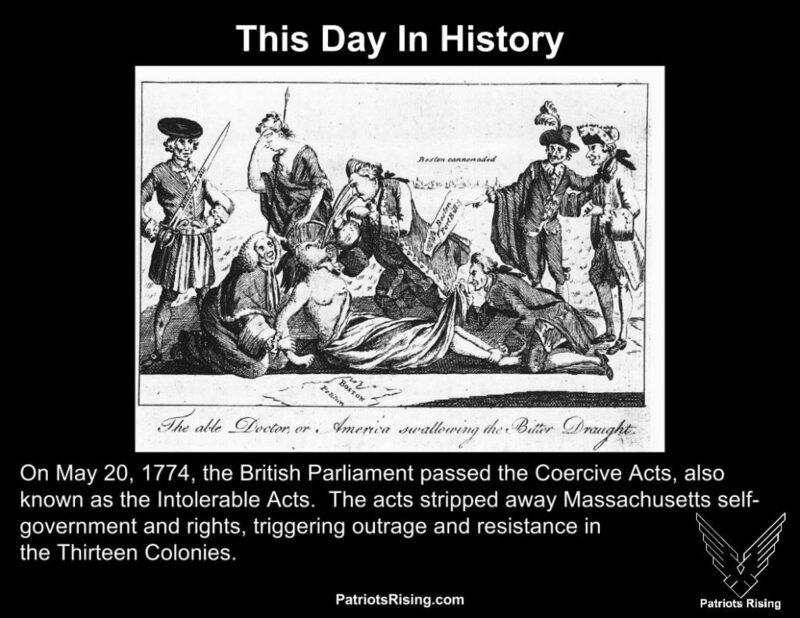 He offered full pardon to all Patriots, except Continental Army Brigadier General Robert Howe and North Carolina Patriot Cornelius Harnett. 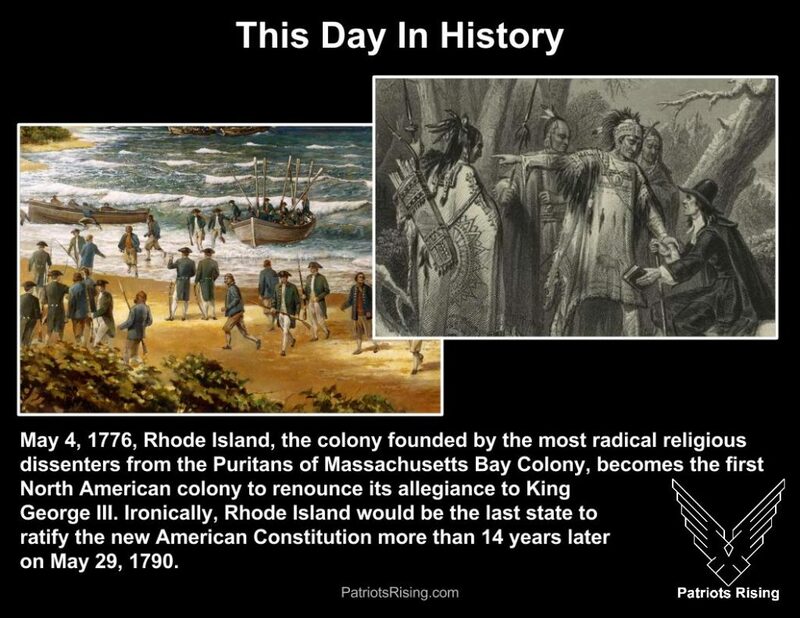 May 3, 1776, Rhode Island, the colony founded by the most radical religious dissenters from the Puritans of Massachusetts Bay Colony, becomes the first North American colony to renounce its allegiance to King George III. 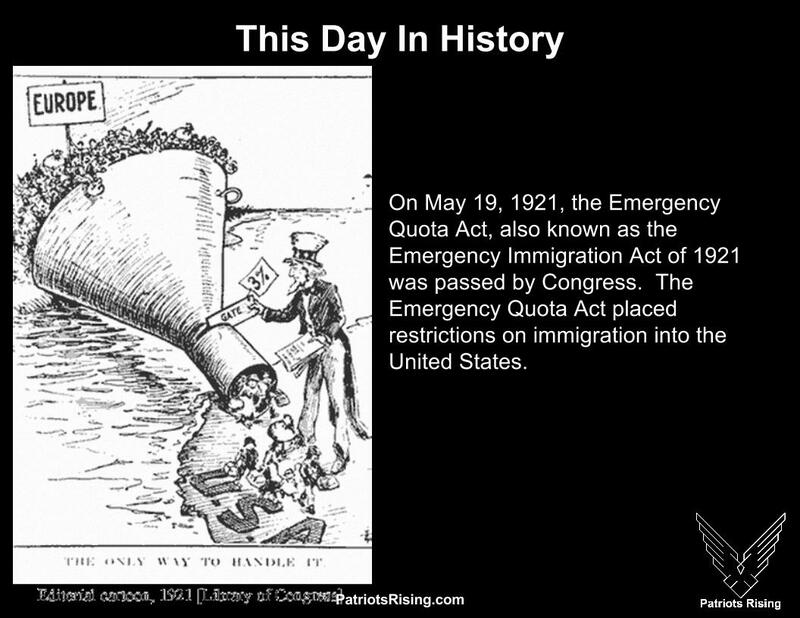 Ironically, Rhode Island would be the last state to ratify the new American Constitution more than 14 years later on May 29, 1790. 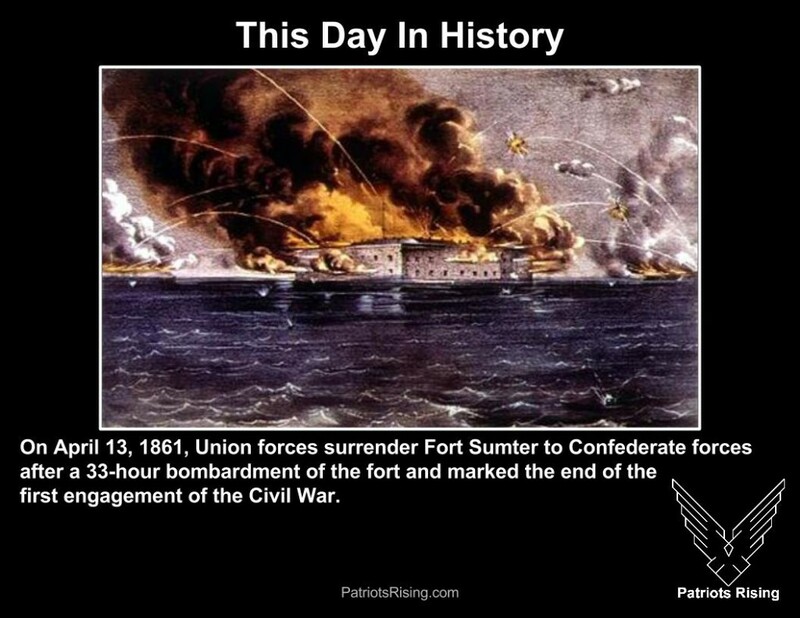 On April 13, 1861, Union forces surrender Fort Sumter to Confederate forces after a 33-hour bombardment of the fort and marked the end of the first engagement of the Civil War. 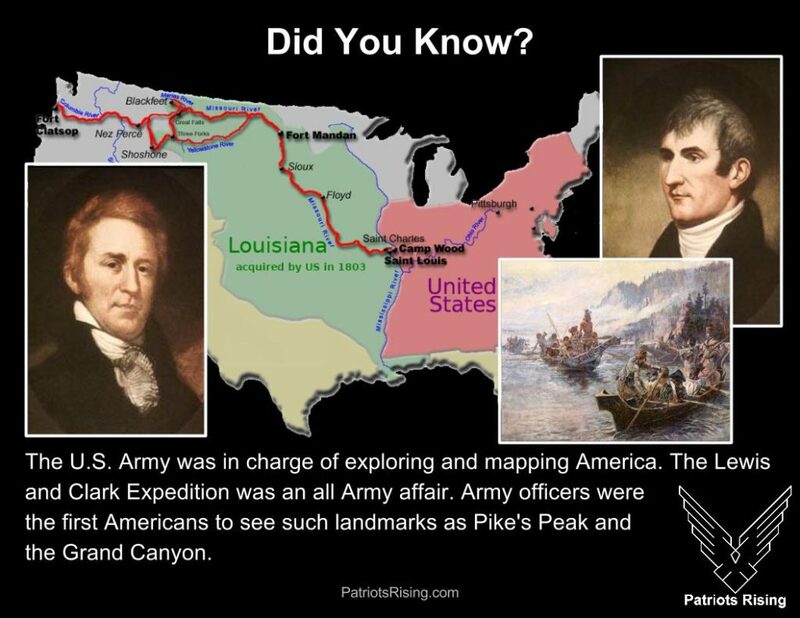 On April 12, 1861 the bloodiest four years in American history began when Confederate shore batteries under General P.G.T. Beauregard open fire on Union-held Fort Sumter in South Carolina’s Charleston Bay. 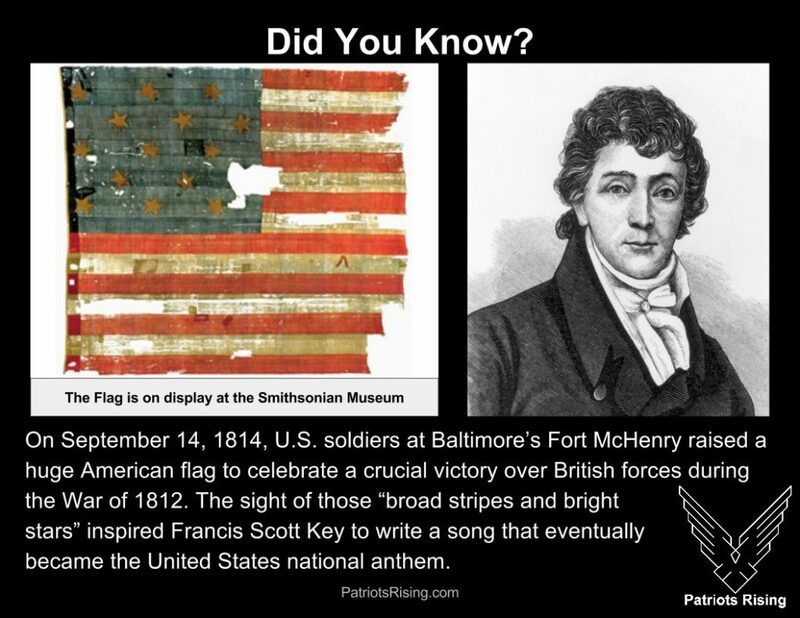 After South Carolina seceded on December 20, 1860, the state demanded the fort be turned over but Union officials refused. 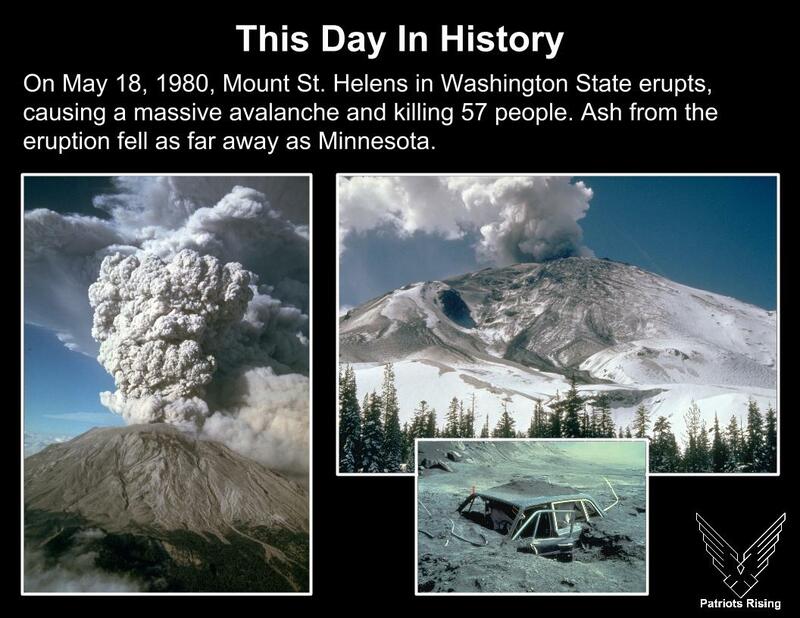 This was the beginning of the American Civil War. 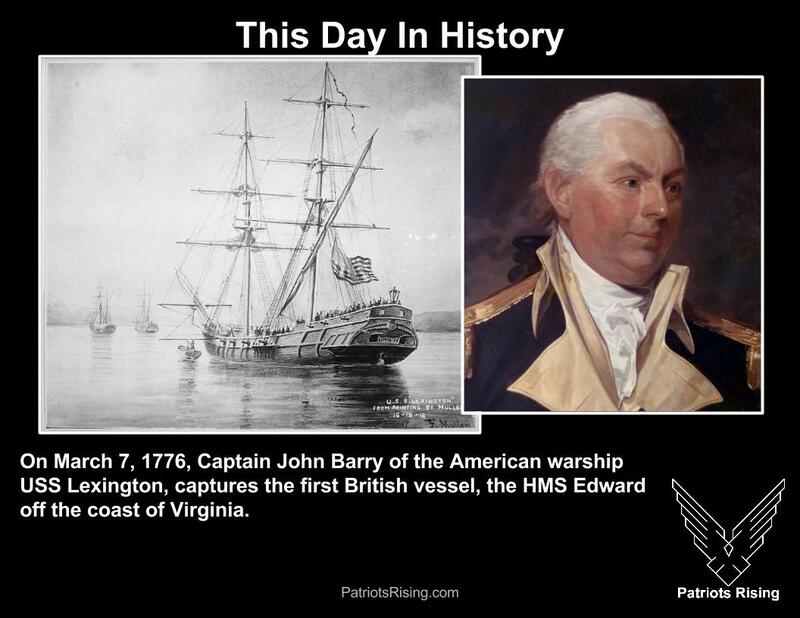 On March 7, 1776, Captain John Barry of the American warship USS Lexington, captures the first British vessel, the HMS Edward off the coast of Virginia.